Sophisticated. Intimate. Romantic. A fragrance of desire. A modern vision inspired by timeless sophistication. A collection of fragrances that evokes the intimacy and emotion of Vera Wang. Radiant. Ethereal. Pure. 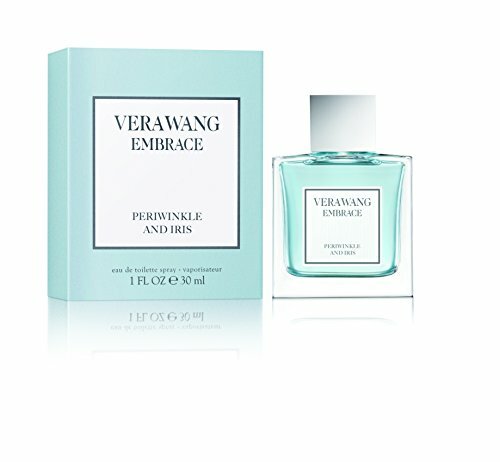 Vera Wang Embrace Periwinkle & Iris is a Floral Gourmand. The top creates a radiating entrance with sparkling notes of Bergamot and Violet Petals. The heart offers a tender touch of Periwinkle, Iris and Blue Jasmine. The floral heart combines Benzoin and Whipped Sugar creating a sense of comfort and addiction. INTIMATE, PASSIONATE & ROMANTIC: Vera Wang Embrace Eau de Toilette for Women in Periwinkle and Iris is a sparkling and daring scent, a fragrance of daily passion, a bright but comforting scent that caresses your body in a mist of fragrance & fantasy. If you have any questions about this product by Vera Wang, contact us by completing and submitting the form below. If you are looking for a specif part number, please include it with your message.